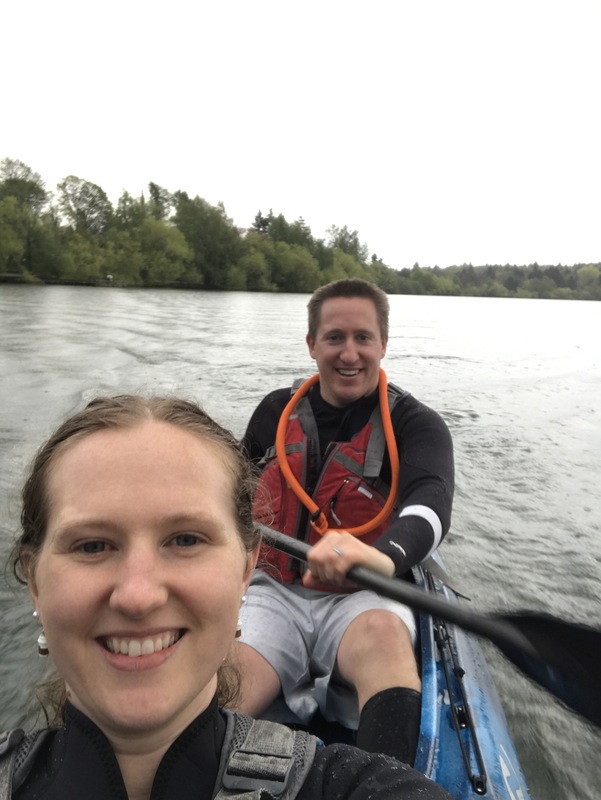 We figured after waiting almost five months to go kayaking we had waited long enough! 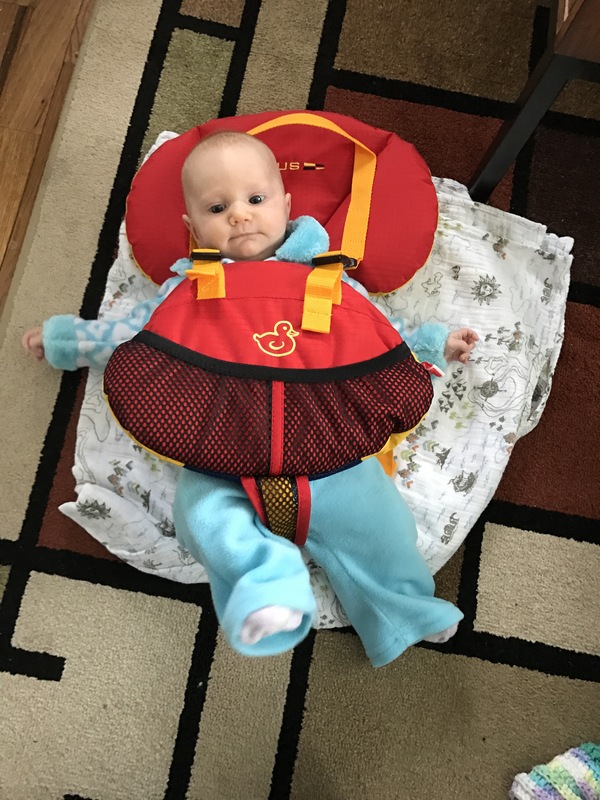 Our two month old is able to keep her head up. She had to wear her base layer, of course! 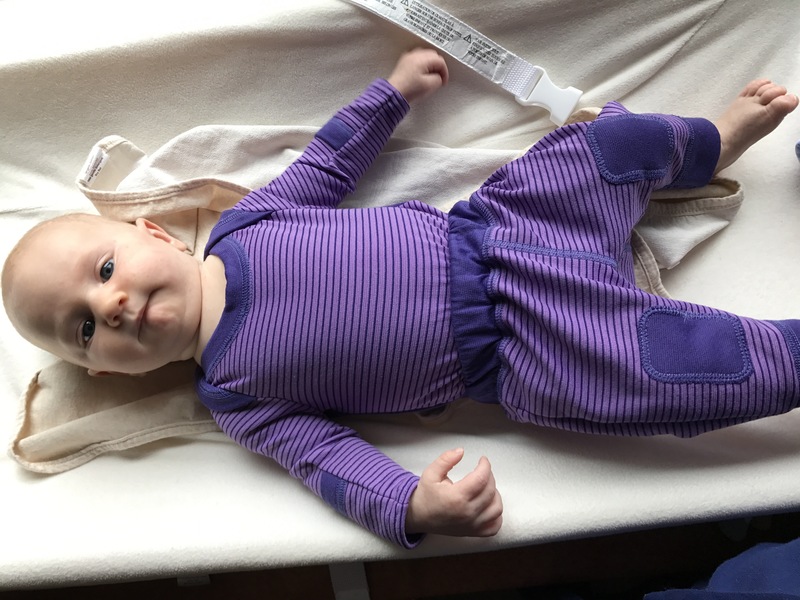 Patagonia (bought on sale from REI outlet, one of the only outfits I actually bought for her among the hand-me-downs). 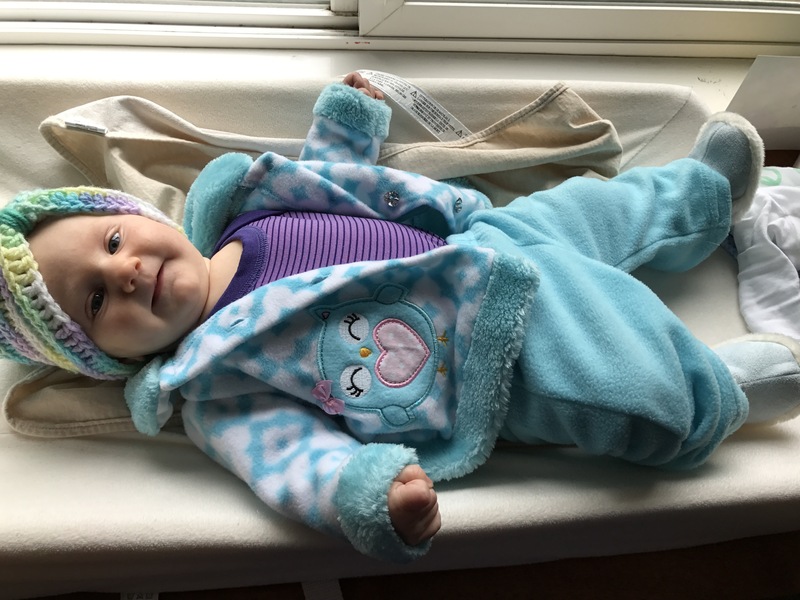 Next she needed her coat and thick pants, shoes, and knit hat (the only one that stays on her head most of the time). 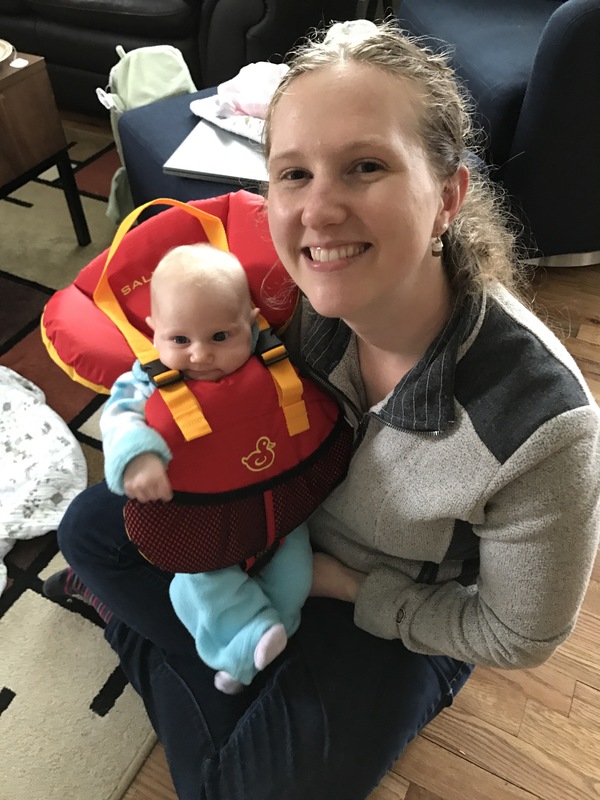 I wanted to try her life jacket prior to actually going out on the kayak, since I’d heard of babies crying from wearing it the first time. She did great! No crying at all! Did I mention her name is Kaya? 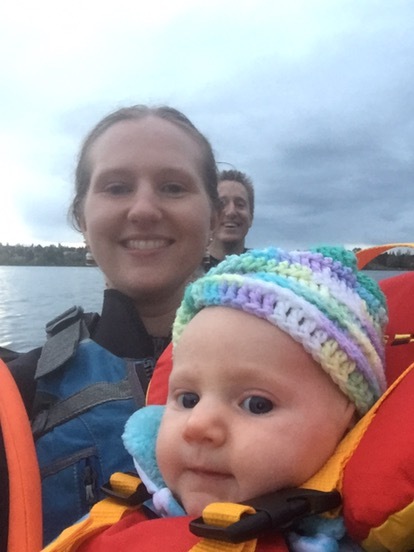 She was born to kayak! The rain started right when we parked at Green Lake. We dropped Kaya off with grandma by the lake and went out without them. It felt terrific to paddle, and not have to worry about a baby for a bit. 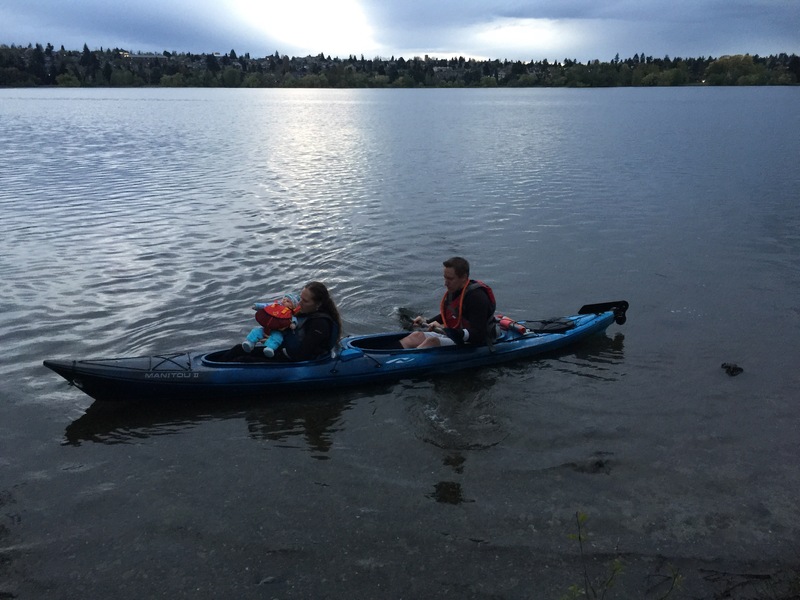 Then when it stopped raining, and we had our speedier paddling in, we went back to pick Kaya up. At first she stared at me, seemingly unsure of the new situation, looking for confirmation that everything was okay. I just smiled back and very soon after she started looking around at everything. We paddled slow (well, Alex did, I was holding the baby) and only stayed out for 10-15 minutes, since it was colder outside. 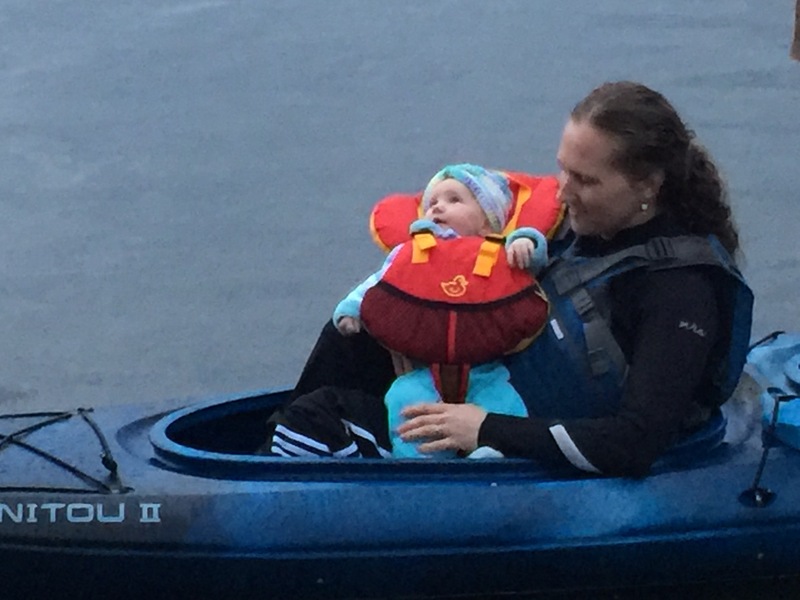 We are glad our little adventurer enjoyed her first paddle. She is a natural. I guess on the next trip she’ll get her own paddle?